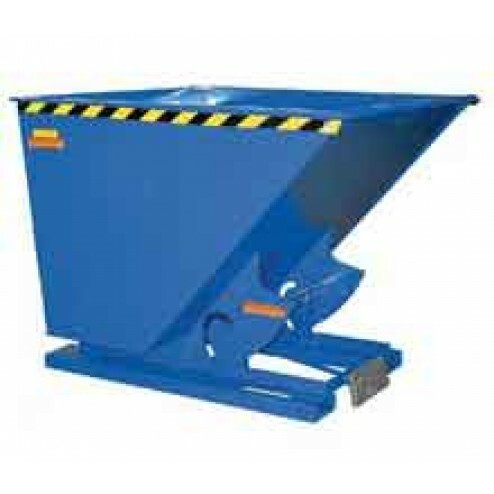 This light duty self-dumping hopper has a capacity of 2000 lbs. and 18" fork pocket centers. Bumper release activates the self-dumping action. The Vestil D-100-LD Self-Dumping Hopper features 18" fork pocket centers. Volume Capacity: 1 cubic yard. Constructed of 12 gauge steel.